From 9am to 5pm on Sunday, June 7th, TrenItalia personnel in Liguria (the region in which the Cinque Terre villages are located) are planning to strike. This is the only region in Italy planning to strike tomorrow but bordering regions may be affected for a limited number of trains (see the list of canceled long distance trains here). Regional trains in Liguria (the slow, local trains) will more than likely face cancellations and/or modifications tomorrow during the hours listed above. The Freccie (Italy’s premier, high-speed trains) will be running on schedule without interruption. 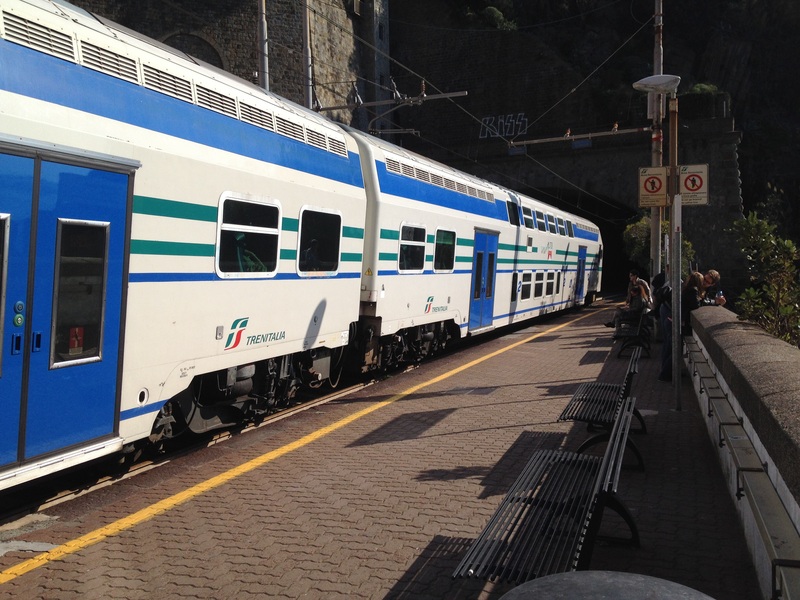 UPDATE: If regional trains between La Spezia Centrale and Riomaggiore are not running tomorrow, there will be a special bus connecting the two destinations. The bus will be leaving from the top of the village of Riomaggiore on the hour during the stike (e.g. 9am, 10am, 11am, etc.) and will be leaving La Spezia Centrale on the half hour (e.g. 9:30am, 10:30am, 11:30am, etc.). The last bus leaving La Spezia Centrale will be at 4:30pm (as the strike ends at 5pm). Strikes in Italy are unlike strikes in other parts of the world. I like to call them “convenience strikes.” Being an American expat, I’m used to strikes that go on indefinitely until either something is accomplished or an agreement is reached (or, worst case scenario, our government intervenes). Not so in Italy; rest assured that the strike will only last for the hours indicated and everything will resume “as normal” shortly thereafter (although it may take a few hours to get things running on time again). The strike is called off last-minute and things resume like any other day (with no inconvenience to travelers). The strike is minimal and will affect some, but not all, trains. This is usually the case with regional train strikes. These strikes can be inconvenient for travelers, but manageable. The strike is full-fledged (usually national) and only minimal service, as required by Italian law, will run. These are the sorts of strikes that I don’t usually recommend trying to brave (unless you have a plane to catch or something similar). When there’s a full-fledged strike, see the alternative travel options below or speak with your host to see if it’s possible to stay on a day longer (chances are the next guests to arrive will have the same problems getting in as you will getting out). Usually hosts are understanding when there’s a strike as there isn’t a whole lot you (or they) can do to change matters. Taxi Nobody loves a train strike quite as much as the taxi drivers. These are their best and busiest days. Watch out for taxi drivers trying to scalp travelers in a pinch (they should have rates posted in the taxi). If you can, ask your host to ring a taxi for you and get a price quote up front. Private drivers Technically, this is a no-no (as drivers are required to have a taxi license). But during a strike taxis can be overwhelmed and wait times can be long. I would use a private driver only if my host recommended them and made arrangements for me. Buses Some regions in Italy are better connected with buses than with trains (think: Tuscany). Check with your host as they’ll know if this is a viable alternative. Boats The Cinque Terre are unique in that they can also be accessed by boat. During a strike I recommend for my guests to take the ferries between the villages of the Cinque Terre. Car rental If you absolutely, positively have to move during a train strike this is another possibility. Keep in mind that it can be costly (I recommend booking online versus just showing up at the rental counter) and that, depending on your home country, you might need to have an international drivers license. An international drivers license is nothing other than an official translation of your license from your language into the local language (but you’ll need to pick one up at home before coming to Italy). The best advice I can give is to take a deep breath. Everything is going to be okay. In one way or another you’ll survive the strike and down the road you’ll have a good story to tell (it’s all about perspective, isn’t it? ).